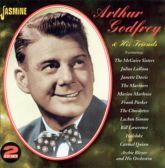 Arthur Godfrey was one of the most beloved television personalities of the 1950's showcasing the finest artists of the era. Including: The McGuire Sisters, Julius LaRosa, The Mariners and a whole lot more!As well as the material from a plethora of artists this set also has Godfrey's popular recordings: Count Your Blessings, Lazy Bones, The Trail Of The Lonesome Pine and Too Fat Polka.The second disc of this set contains all the selections from the outstanding 1953 Christmas LP, with the classics: White Christmas, Winter Wonderland and Frosty The Snowman plus many more recordings appearing for the first time on CD. This is the first time a collection of this type has been assembled that features popular television and recording artists.